A casino industry strong horse since late 2002, when its reign began, Casino King is tops among select casinos anywhere, in any language and for any sum. 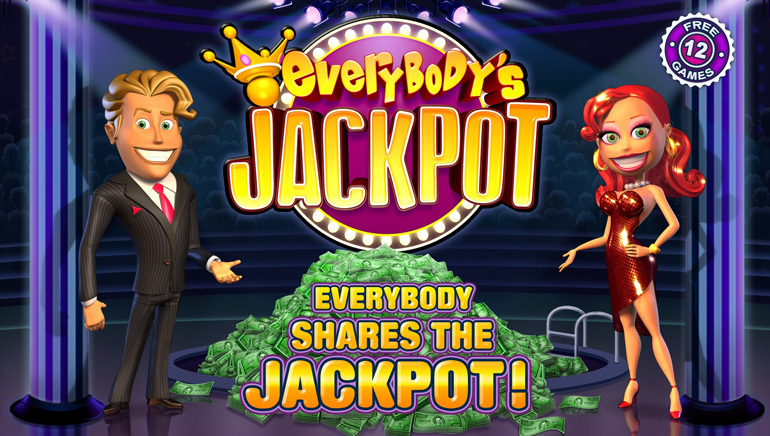 In years of operating, it has certainly caused many players to feel like kings with generous jackpots, and even by giving out bonuses of high amounts, and has at the very least treated every player as one - all kings. And this casino delivers. Casino King is part of the well-built, fast and quite fabulous Playtech software. This means tons of games of all kinds: card games, table games, video poker, slot machines, arcade games and many more that come out regularly to increase the selection. They all feature stellar graphics and fast execution. The Casino King provides their players with some of the best games and jackpots, they are considered to be the experts when it comes to online Roulette and Baccarat. Their table games truly are second to none and the players are flocking to them at all times of the night and day to win for themselves a fortune in cash. The Casino King has loads of cash to give away and welcomes all players who take their turn at their high quality tables and spin the wheel to watch as yet again their lucky number comes up and wins them some cash. Notice the Casino King Roulette Club, which takes you in as a member, including regular bonuses, promotions and VIP treatment, as soon as you sign-up. The Playtech software also means reliable gaming, high progressive jackpots and overall high safety scores. Casino King has changed over the years - and for the better. It has undergone a design change that has its red and gold colors control the casino lobby. CK is a very smooth and professional online casino. It provides total security, licensed and regulated by the government of Gibraltar, Casino King is solely owned by iGlobalMedia Entertainment Limited and managed by Global Gaming Net (GGN). GGN is one of the oldest and most respected gambling management companies present in the online gaming industry today. 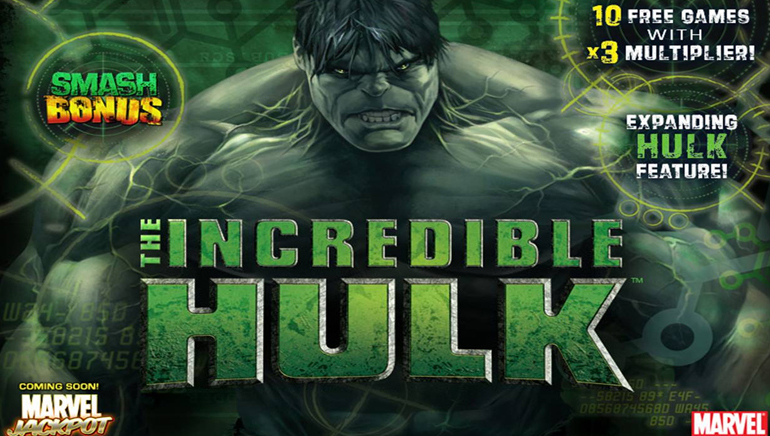 Offers an Impressive selection and variety of casino games. Very high payout percentage reported on all games. When it comes to promotions, Casino King is not lagging behind, it offers all the common bonus type you would expect to find at any online casino including bonuses for new players, high rollers and mid rollers. In terms of something extra Casino King will give players additional 15% bonus for using specific payment methods for their deposits. In this list of payment you can find Moneybookers, Neteller, InstantWT, PaySafeCard, Ukash and UseMyBank. On top of that players depositing via SOLO, BD, Click2Pay, Instadebit, or WT receive 10% extra bonus. Another way to get something more is to refer a friend to Casino King, for referring a friend you will receive a 25% bonus on your friend's first deposit. Casino King also gives out a large selection of surprise bonuses and prizes which makes it fun just to log in to your account cashier and discover free bonuses time after time. Casino King is powered by Playtech software, which means you can be 100% sure your gaming environment is secure, safe and fair. As a Playtech casino the software is more than superb, works in a fast and stable way and technical problems are very rare and almost never happen.It's really easy to get in on the action that is on offer at the Casino King, the moment you make it to their website a box comes up on your screen asking you if you want to download the software that is the gateway to the casino software. Once the download is complete you are just a couple of clicks away from getting in on some amazing online gaming action.You will find all the Playtech software features and in-game features to be brilliant and fun, some of the more special features you'll get when playing on a Playtech software casino is the games history log, players notes, awesome live chat software and live dealers on webcams with high quality display and sound. When it comes to in-game features you can increase the size of the screen, slots reels, table and card game cards and use automatic playing modes. The software also has many other features you can discover the full list of them at the right side of this page. Casino King sure know how to keep their players coming back for more and that is done via more generous bonuses, surprise bonuses and free loyalty awards program. These different bonuses are automatically given to loyal players of the casino. In addition to the loyalty awards and bonuses, Casino King comes with a solid VIP program for high rollers, in such account a dedicated VIP Players Manager is designated to your account. The VIP Club is divided into three levels: Emerald, Diamond and Black, each comes with its own offers, promotions and incentives. As mentioned before, Casino King offers Live Dealer games, progressive jackpot games and all the rest of the games that come with the Playtech software. 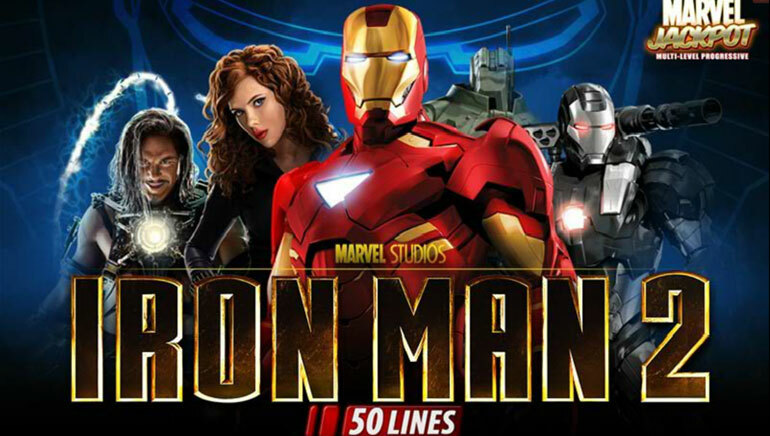 The games selection and variation is huge and there are over 300 games to choose from including Table and Card Games, Slots Games, Video Poker, Keno, Fixed Odds, Asian Games and Arcade Games. Card and Table games layout and design is excellent and fun, it offers players great gaming experience and ease of use. Slots games comes in many shapes and variations, from three reels classic slots to multi line video slots with multi spin features. Cinerama and Gold Rally are just two of the top progressive jackpot games you can play at Casino King. 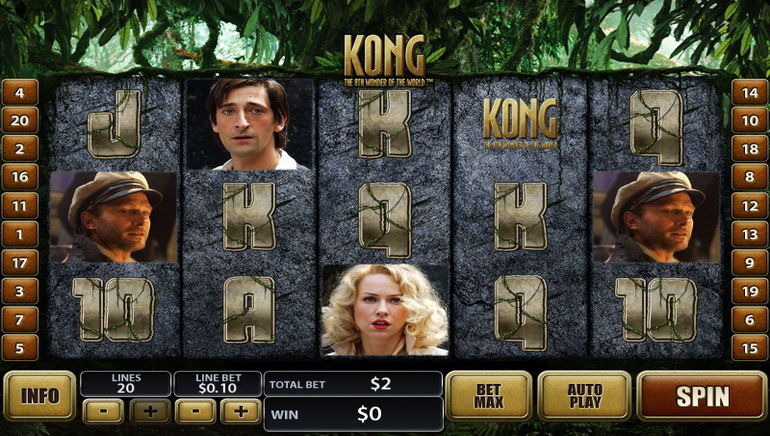 The slots themes are fun to discover and the game effect change from one game to the other. 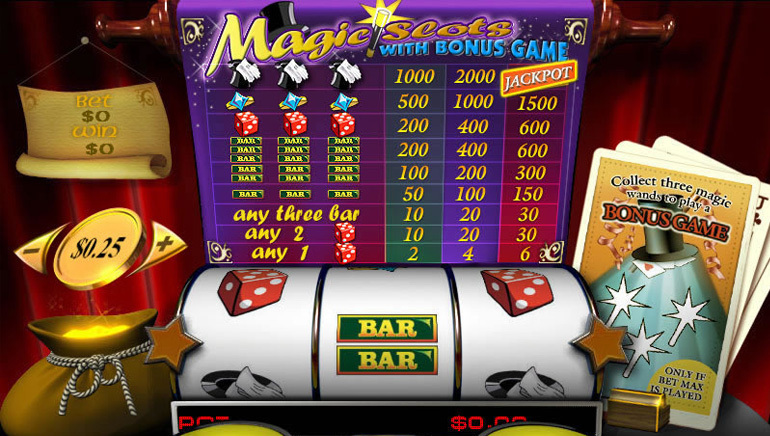 Casino King Games payouts are of the highest in the industry, across all game types. Casino King offers a variety of table games with live dealers, which makes the experience of playing at this casino realistic and fun. In Casino King's live dealer area you can choose from live baccarat, live roulette, live blackjack and live sic-bo. The dealers are very friendly and competent, and the superb quality of their cameras provides crystal clear images. The live gaming interface is one of the best in the industry, so you should have no difficulty understanding how to use it. You can zoom in on the cards and tables for a better view, as well as chat and interact in real time with the lovely dealers as they spin the roulette wheel and deal the cards. At Casino King you can play all of Playtech progressive jackpot games including Gold Rally, Wall St. Fever, Safecracker, Cinerama and Megajacks. Progressive table games, progressive card games and progressive video poker machine games are also available and players can play progressive blackjack and baccarat. Casino King customer service team is efficient and rapid. The team will answer any of your queries 24/7 around the clock. You can contact them via e-mail, telephone and fax. We haven't encountered any problems with the service we got and we believe that all players receive friendly and helpful replies. Casino King support the following currencies: US Dollar, GBP, Euro, Canadian Dollar, Australian Dollar and Swedish Krona and South African Rands. There are a many payment methods supported for making a deposit. 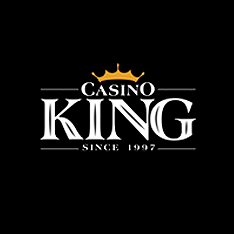 Casino King offers players the option to deposit money into their casino account with all credit and debit cards (VISA, MasterCard, Maestro, Diner Club), Ukash, NETeller, iDeal, Poli, Laser, Przelewy24, EziPay, Click2Pay, MoneyBookers, EcoCard, ClickandBuy, Webmoney, PaySafeCard, eChecks, InstaDebit, UseMyWallet, and direct bank transfers. To find out which payment method is suitable for you visit our online payment methods directory, however we found Ukash and MoneyBookers to be the players' favorites at Casino King.